One of the things I have learned to do since moving to the country is chop wood. When I first came I had the Kate Winslet approach. That may be a little ambitious or overstated but I am definitely more handy about the place. Maybe not ploughing but I can manage some rough work, and I am neither old nor full of mischief. Yet. I can manage pretty well. Today I may draw the line at wringing the rooster’s neck but hey, never say never. 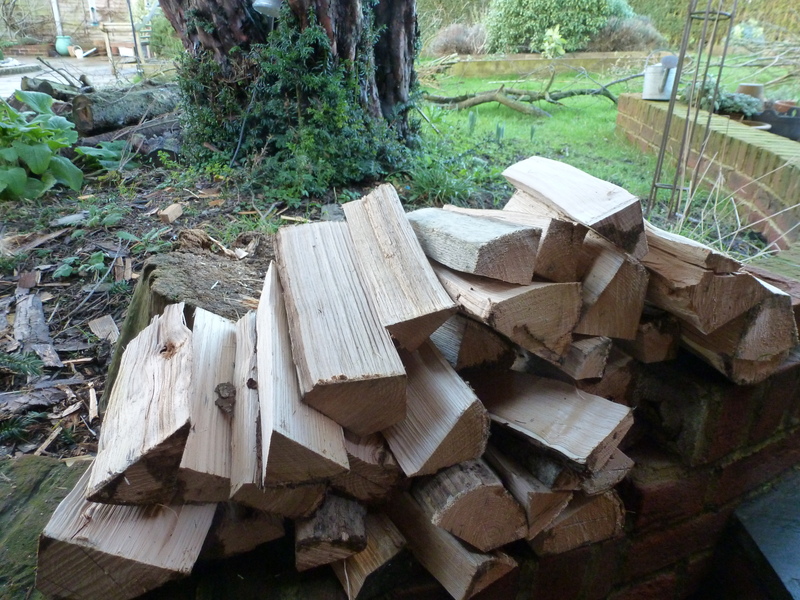 But as I was saying I have learned to chop wood and find it very therapeutic, warming you twice as they say. It’s hard, satisfying work and invaluable for working off a temper. There’s an immediate and pleasing visual result. Not to mention the flames. 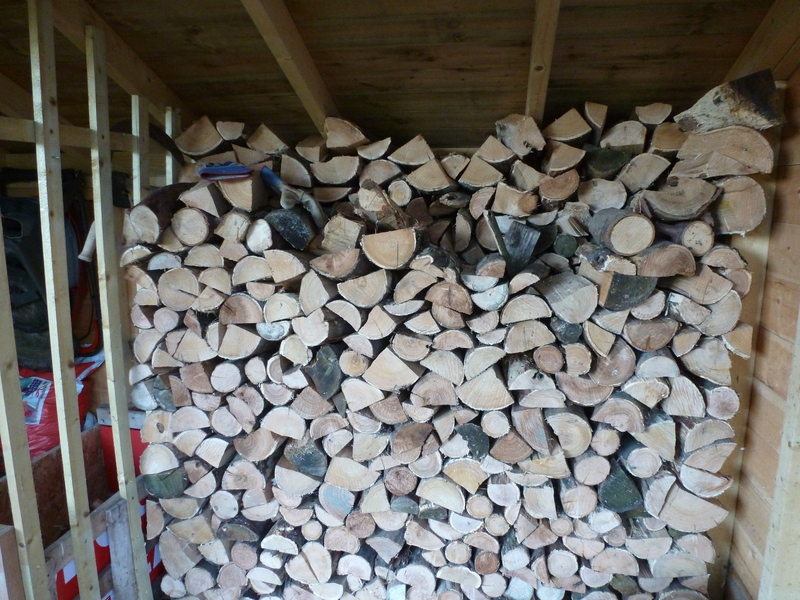 This is our wood store: a thing of beauty and I helped stack it. And this is today’s offering, enough for tonight and tomorrow. 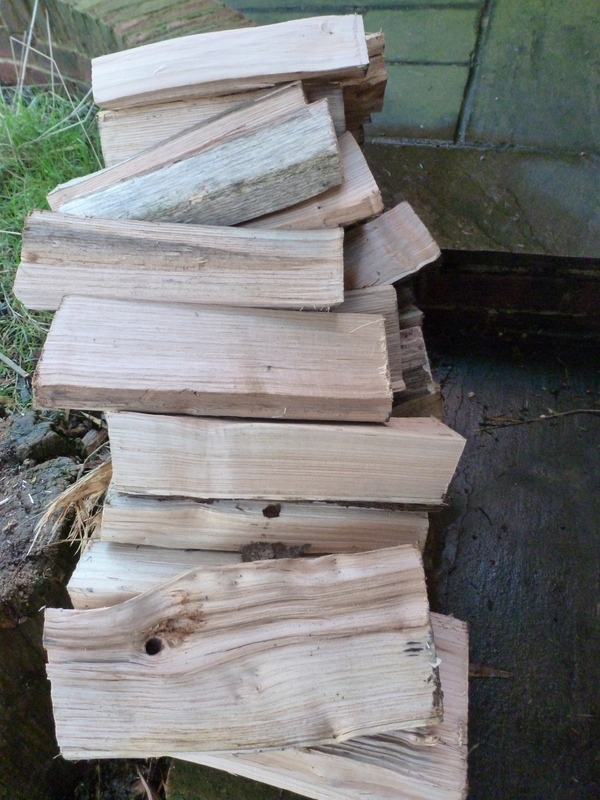 I have learned a lot from wood chopping. A firm non slip base to stand on and to stand the log on is essential. Balance the log carefully on its end. Hit the log without too much back swing. Allow the weight of the axe and gravity to apply force. If it doesn’t split first time, turn it over and try the other end: ie take a different tack and often it will yield. Sometimes the log has a hidden knot and it will not split. Don’t waste your energy on it. Leave it for someone younger or keener or more set on dominating the natural world. (Often a man but not always). In another life that cheeky internal knot would make a beautiful shape on a polished platter or bowl. Not all wood is for burning.